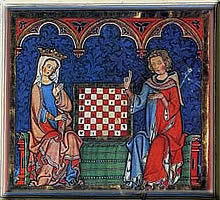 Chess Composition. 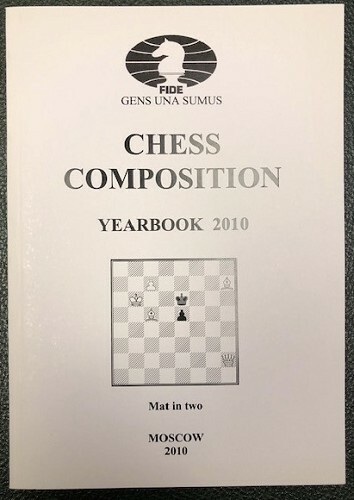 FIDE Yearbook 2010, Moscow, 2010,124 pages, white soft cover. 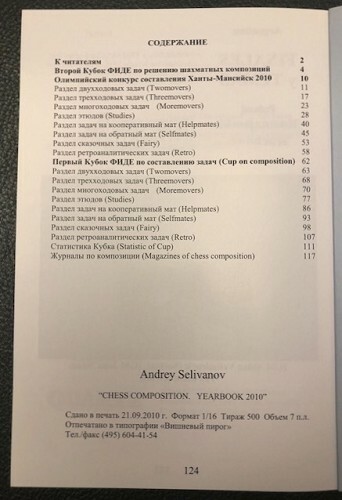 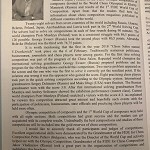 Yearbook includes the results in the table of the 2nd FIDE World solving Cup with problems and solutions, photos of participants and winners. 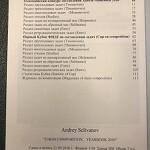 Also included in the Yearbook are the full results of 8 sections (twomovers, threemovers, moremovers, endgame studies, helpmates, selfmates. 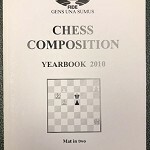 fairies, retro & profgames) of the FIDE chess composing tournament dedicated to the FIDE World Chess Olympiad in Khanty-Mansiysk -2010 and awards 1st FIDE world Cup in Composing-2010 with this same 8 sections. 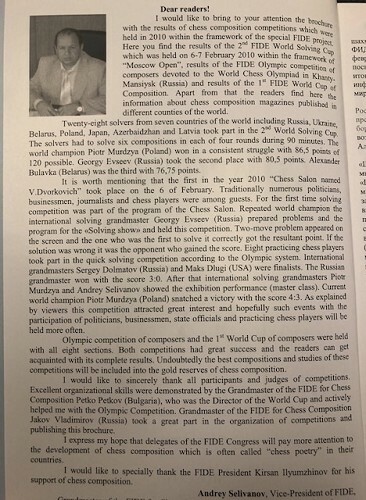 187 autors from 38 countries.